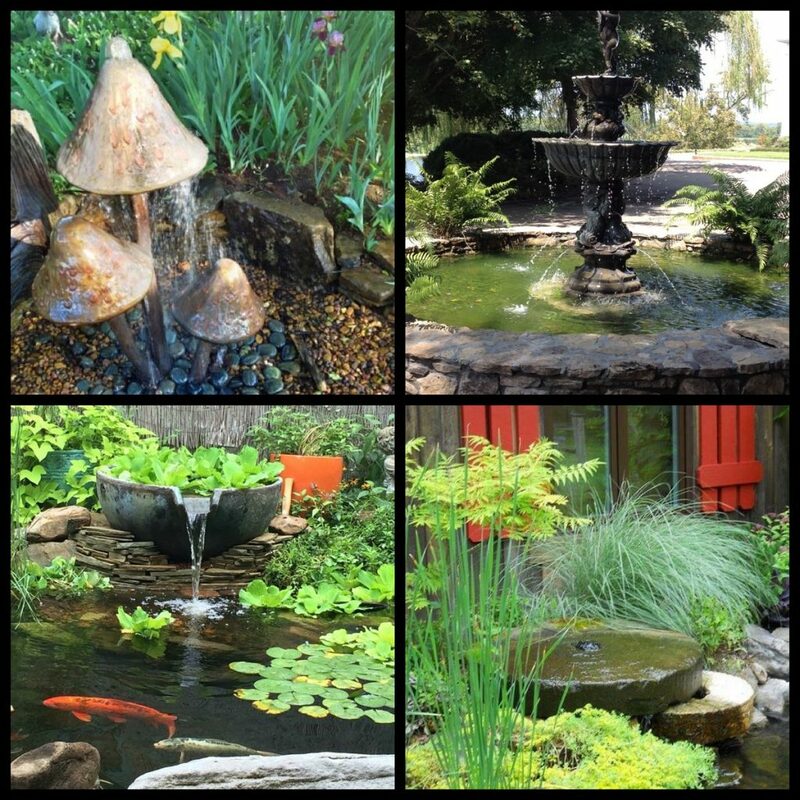 Fountains | Disappearing Fountains – Carter's Nursery, Pond and Patio, Inc. 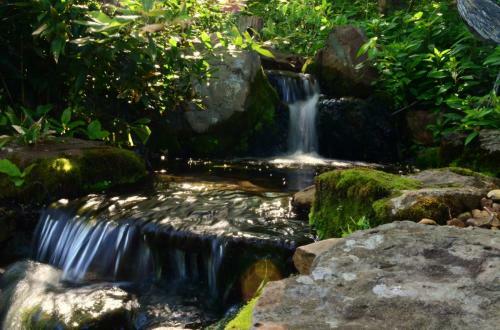 The possibilities are endless… We have designed and installed hundreds of Custom Fountains in the mid-south area! Fountain Features -disappearing fountains, drilled stones, classic fountains and much, much more. We can install most of our custom creations in a day or two and all our designs will seamlessly fit into your existing landscape. Many of our Fountain Features are disappearing fountains. 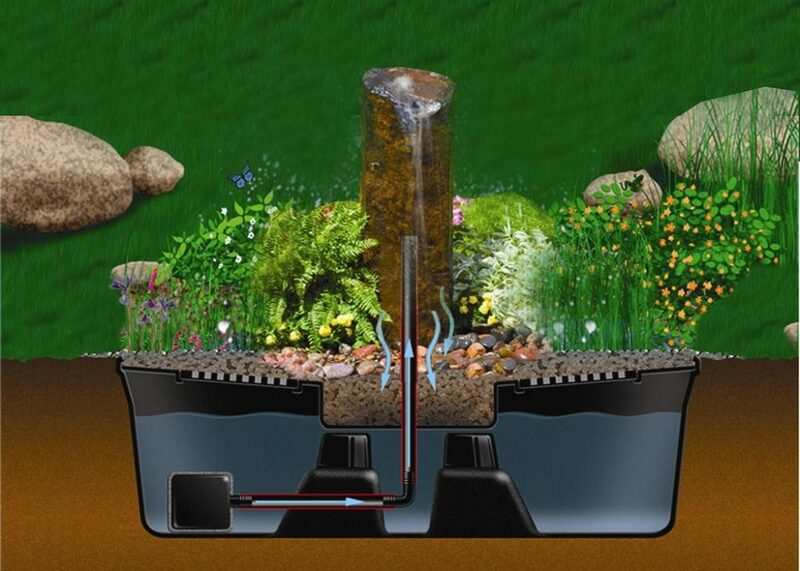 An underground reservoir holds the water supply and houses the pump system. Then the water flows through a custom fountain head then disappears back into the gravel & stone. Beautiful, unique & Low Maintenance. 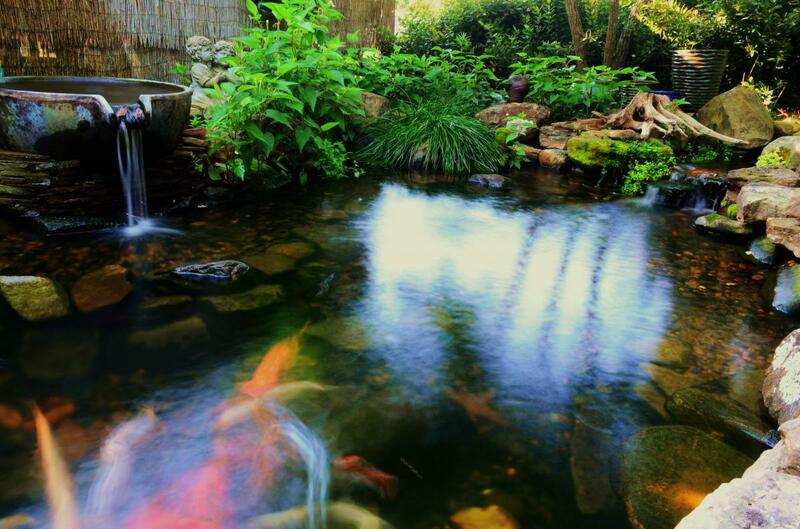 Low Maintenance – Taking care of your Fountain Feature is easy. Topping off the reservoir every week or so to compensate for evaporative water loss is all that’s really required. Beautiful – The sight and sound of flowing water = Instant Beauty. Safe – Most Fountain Features are a great option if you are concerned about safety issues associated with a traditional pond or Water Feature. Can be designed to fit almost anywhere– VERY flexible and always a work of art! The sight and sound of moving water is magical. We put lighting effects on our Fountain Features to extend the beauty into the evening and night. Click here to see more Fountains that we designed and installed. We come out and personally design ALL of our Fountains. Each one is a work of art and we take pride in that!